Now thanks to a jailbreak hack detailed in a post on MacStories, this is actually possible, though performance may not be as good as if you were using the more powerful iPad 2. Of course the whole thing is made possible thanks to the new untethered iOS 4.3.1 jailbreak courtesy of Redsn0w. So, onto the hack itself. 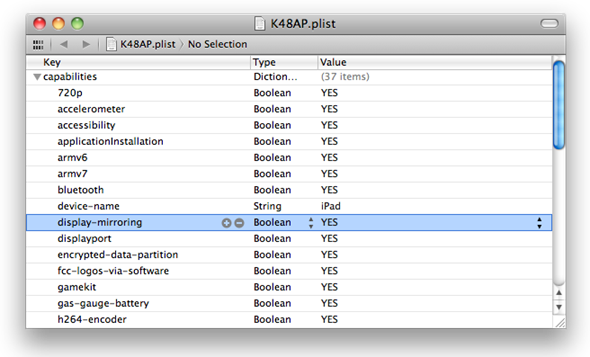 – Upload the newly edited file back to your poor unsuspecting iPad & restart it. – Start video mirroring using either the VGA or Digital AV Adapter – with fingers and toes crossed. 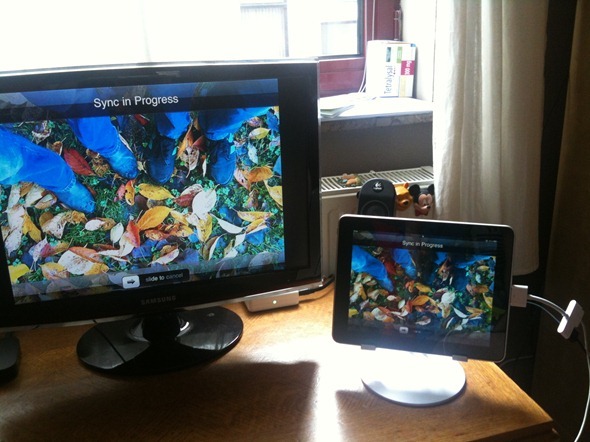 If all goes well you should now have the iPad 2’s screen sharing available from your old iPad. Again, don’t expect stellar performance but it should at least work.